Telecom Service Provider Directory - Telephone Services and Telecom Service Directory. 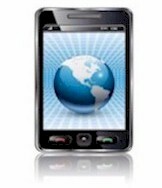 Are you looking for a telecom service provider? If you are a long distance or local phone service company or a telecom service provider and would like your website included in this directory, please use our Submit Phone Service Website form. It's FREE and simple to add your website. The following is a list of organizations that according to their website descriptions provide local phone service and long distance and telecommunications services. Database Systems Corp. is not affiliated with any of these organizations nor does it promote or endorse the products and services of these companies. These websites promote various types of phone services including long distance service, local phone service, voip services and various telecom service, etc. 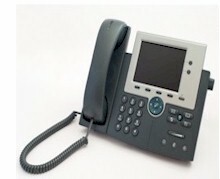 The BroadVoice VoIP phone service allows any residential or small business customer to use their cable or DSL BroadBand Internet connection to make and receive Voice over IP phone calls using an ordinary, analog telephone. For advanced users, BroadVoice offers a BYOD option that allows customers to instantly connect their SIP devices, including the Cisco IP Phone � or Asterisk PBX, and make phone calls over the Internet. Cingular Wireless is the largest wireless company in the United States, with more than 50 million subscribers who use the nation's largest digital voice and data network. Cingular is dedicated to providing customers with wireless technology designed to enrich their lives. Founded in 1999, Dialpad Communications has become one of the world's largest providers of IP based telecommunications services and a key player in the fast growing IP Telephony market. The company's rapid growth played a large role in moving Voice-over-IP (VoIP) to the mainstream, with over 14 million users registered for the service in less than two years. Dialpad users have placed well over 300 million calls, generating close to 2 billion minutes of traffic from and to the U.S. and over 200 countries. GTC Telecom is a national communications provider marketing simple, competitively priced products to consumers and businesses. Founded in 1997, the Company has focused on selling telecommunications products, including GTC Telecom Long Distance, GTC Internet, GTC Teleconferencing, Calling Planet and ecallingcards.com pre-paid calling cards. Neighborhood Broadband Calling - Save big money on local and long distance calls using a standard phone and your broadband Internet connection. Flexible plans start at $9.99 a month! These telecom systems can connect calls to employees who are working at home or in a local or remote offices. Our intelligent phone systems communicate with applications written on Unix, Linux, or PC servers over a LAN.